UK Timber Limited supply many different cladding profiles ranging from your traditional feather-edge and rustic waney edge, to the smooth sleek shadow lines of a shiplap profile. Timber cladding also referred to as weatherboards or weatherboarding, can add an extra dimension to a building. 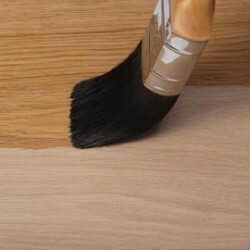 Different woods can be utilised for cladding products to give you your desired finish and level of protection. We offer timbers in a selection of hardwearing and stunning materials, both treated and untreated, that can be used for both internal and external applications. We supply both the standard weather boarding or heavier more robust cladding for longer lasting beauty and for use in heavily weather exposed areas. It is easy to repair. We can customise our cladding based on the client’s specifications. Our customisation includes species, profile and grade. Customers can also stipulate their preferred lengths with our custom cut service. All of our products comply with the European QP1 standards and the THA or THB standards, as approved by TRADA (The Timber Research and Development Association). Sourced from various PEFC (Programme for the Endorsement of Forest Certification) and FSC (Forest Stewardship Council) accredited sources, our products are fully compliant with responsible felling methods. The finish you require for your cladding project will not only depend on the species of timber you select, but also the profile. 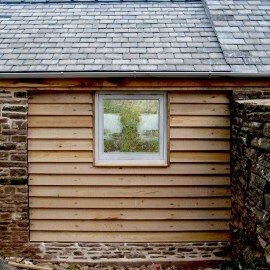 From a shiplap profile for those clean lines and structured appearance, to waney edge for that unique rustic finish, here at UK Timber Limited we offer a vast range of different timber cladding profiles to suit all tastes, budgets and projects in both residential and commercial settings. Choosing the correct species for your cladding project is of paramount importance. Not only do you want your finished project to be visually pleasing, but you will want to ensure that your cladding is offering you the right level of protection from the elements. 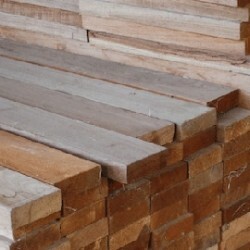 Here at UK Timber Limited we offer a vast range of different timber species that suit all tastes, budgets and varying levels of weather resistance. Trim boards are used as a finish and/or edging to cladding projects, soffits and fascia boards. 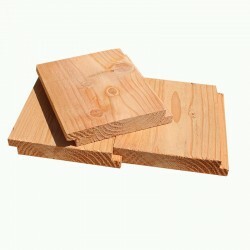 Our trim boards are available in freshly sawn Oak and English Larch. 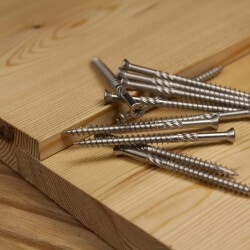 Here you will find cladding screws suitable for use with all of our hardwood and softwood cladding boards, both treated and untreated. At UK Timber, we offer a vast range of treatments and oils to help our customers get the most from their cladding. Whether you want protection from the elements to help with resistance against rot, decay and insect attack, or if you simply want to change the colour of your cladding to suit your current mood, our range of treatments and oils help make protecting and enhancing your timber easy. We work closely with the Treatex brand to ensure that our cladding treatments offer great value for money without compromising on effectiveness or quality. Are you unsure which cladding boards would be more suitable for your project? We give you the opportunity to take a closer look at our high-quality cladding boards before you buy. 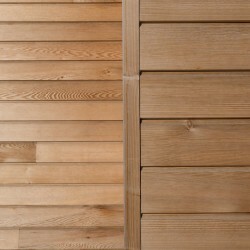 Here you will find a choice of samples of our wide range of timber cladding. 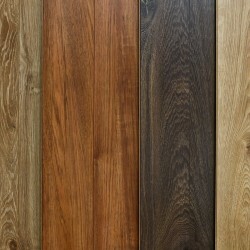 Our samples will give you an indication of the material, the grading and the grain of your selected boards.